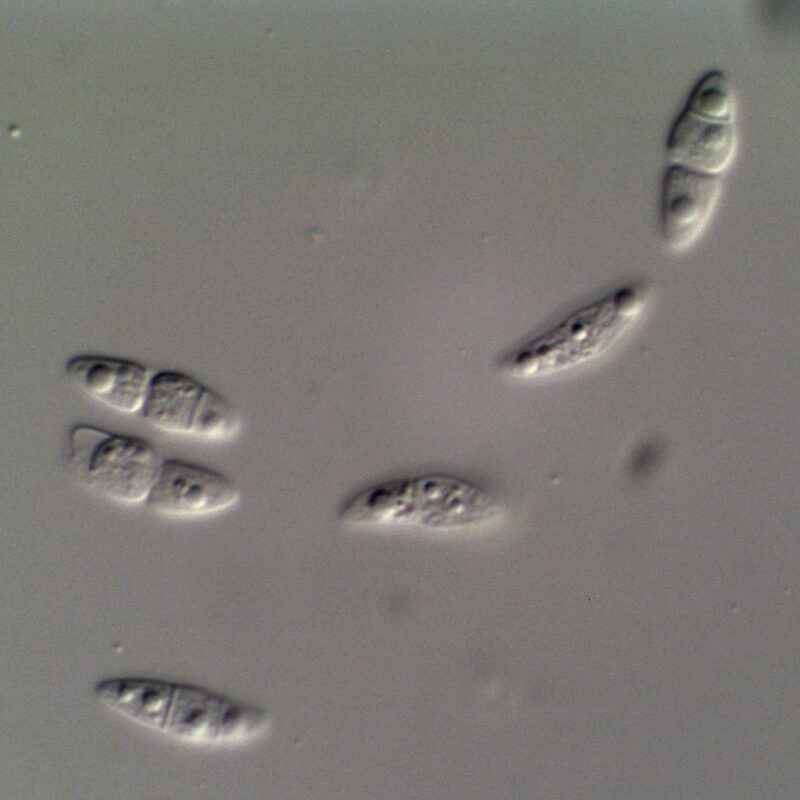 Teleomorph: ascostromata perithecial, 150-210 x 140-180 µm, oblate to shallowly conical, formed in clusters of 3-6 below clypeus-like blackened and shallowly domed epidermal tissue, the ostiole distinctly papillate. Peridium 15-30 µm thick, composed of 4-5 layers of thick-walled dark brown angular cells 4-12 µm diam., in the basal region thinner and less strongly pigmented. 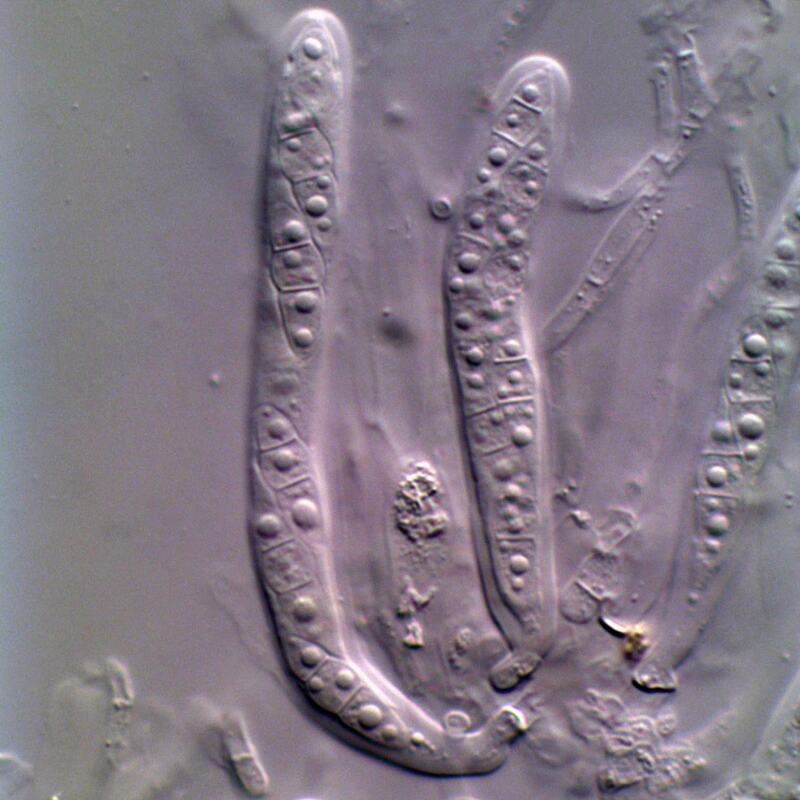 Ostiole lined with thin-walled hyaline periphysis-like cells 10-15 µm long and ca 2 µm diam. Interascal tissue composed of wide thin-walled cellular pseudoparaphyses 2-3 µm diam. Asci 67-97 x 10-13 µm, cylindrical to cylindric-clavate, mostly short-stalked, the apex rounded, thick-walled and fissitunicate with a clear ocular chamber, 8-spored. 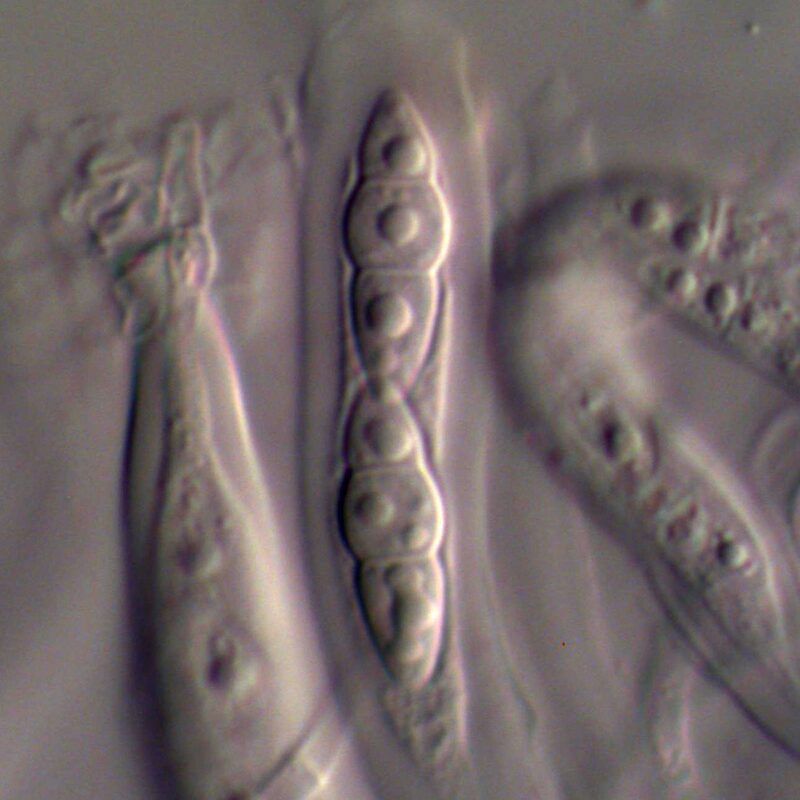 Ascospores arranged biseriately or obliquely uniseriately, 15-18.5 x 5.5-6.5 µm [14-22 x 6-7 µm fide Bose 1961], cylindric-fusiform, 2-septate with the middle cell noticeably swollen, constricted especially at the primary (lower) septum, hyaline, thin-walled, smooth, with a mucous sheath ca 1 µm thick that is evanescent at maturity of the spore.